Looking to have some fun after your Disney's Fairy Tale Wedding? 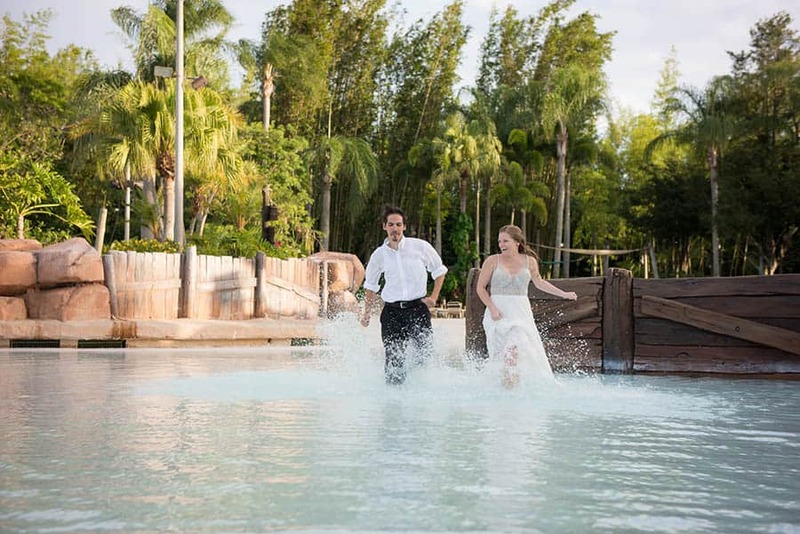 How about going for a swim at Disney's Typhoon Lagoon Water Park in your wedding attire? 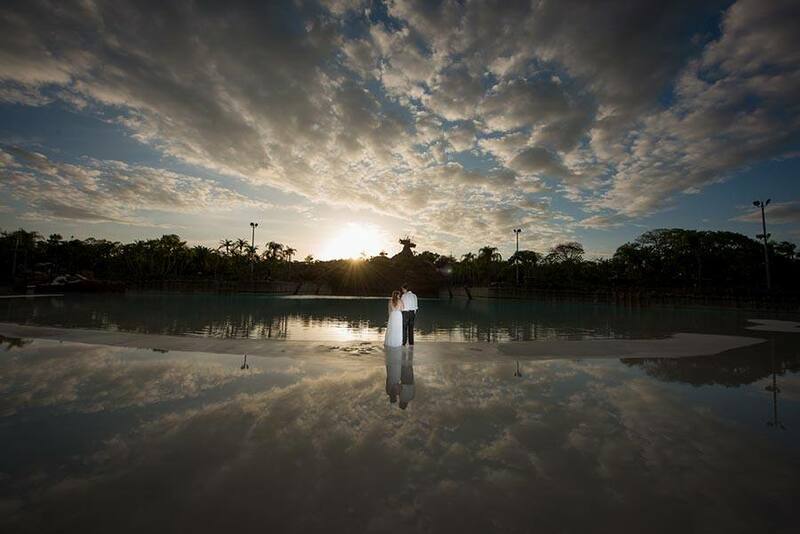 That's exactly what Amanda and Carlos chose to do after their Walt Disney World nuptials. Inspired by a photo found online, Amanda wanted to "do something memorable and fun with her wedding gown." 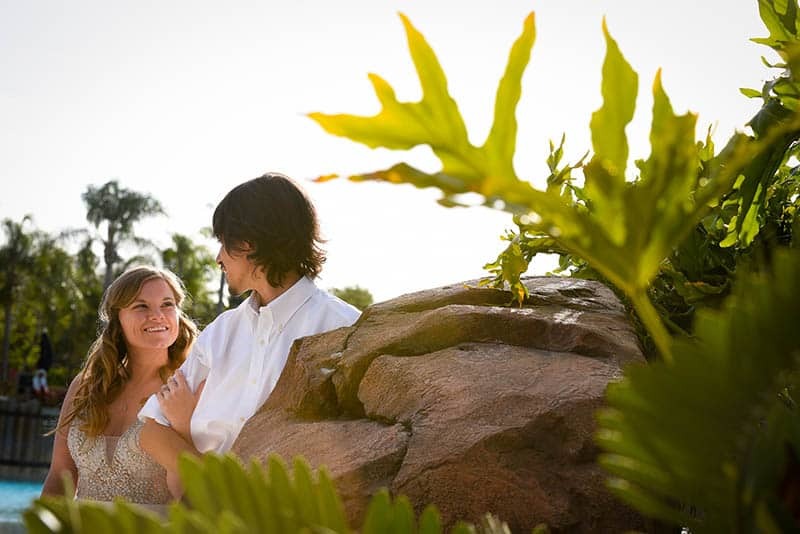 With a Disney Professional Photographer at hand, the couple arranged a "Trash the Dress" session at Disney's Typhoon Lagoon Water Park. As they were escorted through the park, Disney Cast Members greeted them while music played over the speakers. 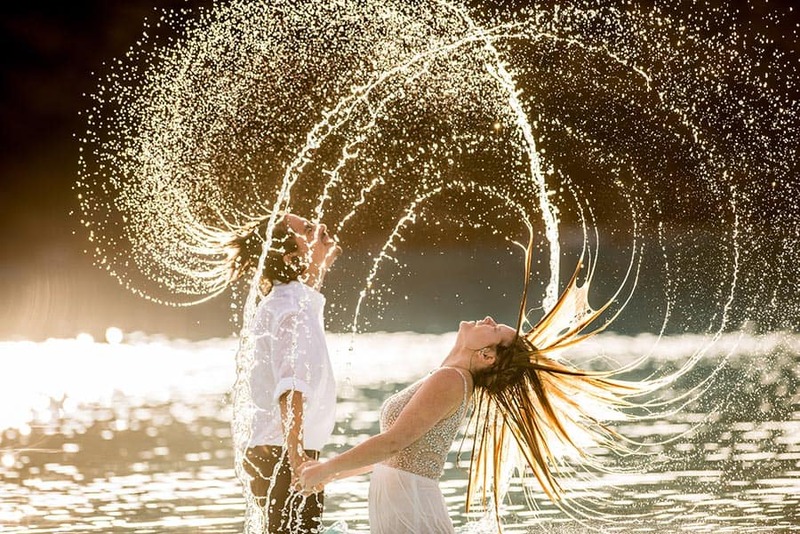 Once they reached the water, they made a run for it into the wave pool and enjoyed an unforgettable portrait session! 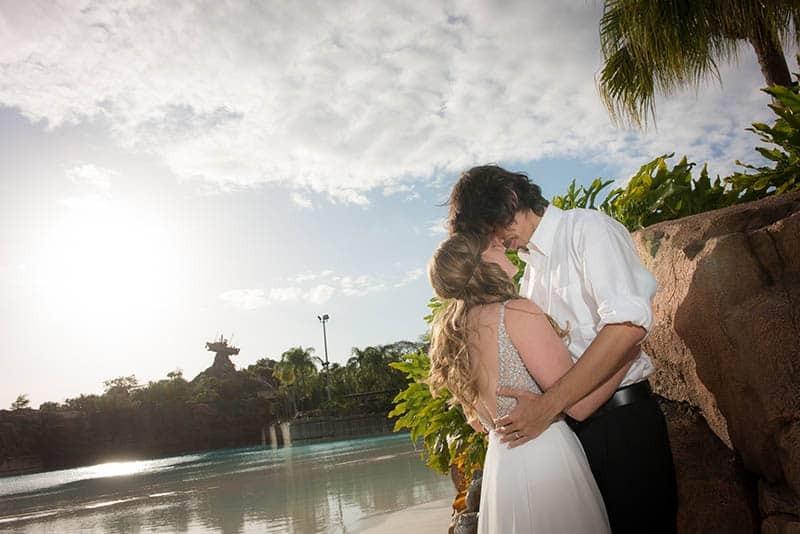 With the perfect balance of fun and romantic shots, this moment ended up being the highlight of Carlos and Amanda's wedding week at Walt Disney World! Keep following the blog this week to see Carlos and Amanda's amazing wedding!